According to the NSI, more than 3.25 million people in Romania are aged over 65, and the accelerated demographic ageing is a certainty worldwide. Moreover, approximately 1.5 million elderly in Romania are affected by loneliness, to a greater or lesser extent, according to the national survey conducted by GfK for FPMR, in September 2015. The Elderly Line is a project developed in support of seniors across the country, in response to the demographic ageing issue. The program was launched through the Connecting for Good programme. How does the Elderly Line work? The Elderly Line is the first free and confidential help line accessible at national level, dedicated to the elderly. The project aims at increasing the quality of life and social participation among the elderly and comes as a response to the problems faced by elders in Romania, as the only functional service of this type. Specialised operators respond from the heart, providing information and guidance. Volunteers involved build friendships with the lonely elderly. The phone line is dedicated to people aged over 65 from Romania, from the urban and rural areas. 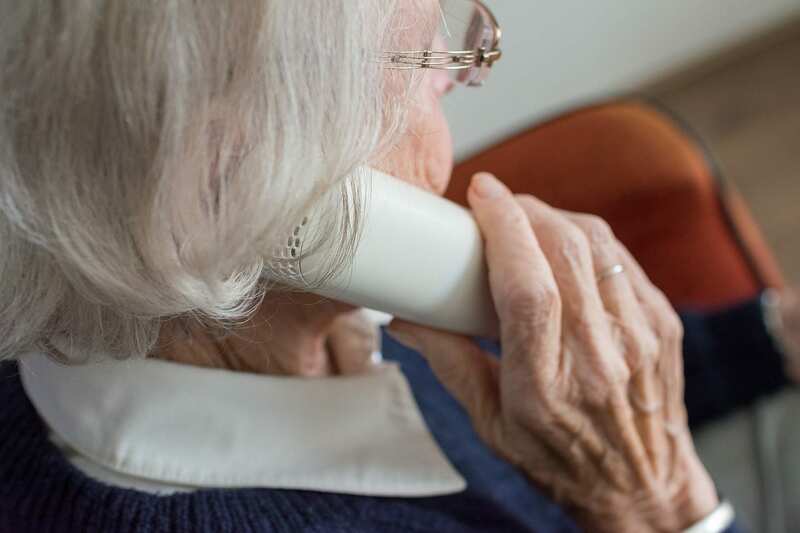 So far, over 17 000 phone interactions have been recorded and over 2 700 elderly people have been unique beneficiaries of the information, counselling or socialisation services. Useful and of general interest information for the elderly who do not know whom to call and which institutions to address for their problems. They can find an immediate, fast/ quick/swift and free answer at the Elderly Line. Social guidance and counselling provided to the elderly in need of specialised services or practical solutions, but also to the families of those in need of home care or support of various types. They are directed to the competent institutions in their community. Emotional support and alleviation of loneliness for those elderly who experience physical or emotional isolation and feel the need to talk and be listened to. Those calling for this service are regularly called by the specialised operators and volunteers trained to help them. In September 2017, the Princess Margareta of Romania Foundation launched the Seniors’ Teleclub, a service complementary to the periodic phone recall service. The Seniors’ Teleclub comes as a solution to alleviate the loneliness of elderly who cannot take part in a seniors club, either because it does not exist or because the elderly cannot move. Through the Seniors’ Teleclub, the elderly have the opportunity to socialise and talk with each other on topics of common interest. Thus, the group becomes an emotional bridge and moral support, enhancing the sense of trust and belonging.